Look no further than ABC Nanny Source for a qualified Staten Island Household Manager to fit your needs! Jamie enjoys being a Staten Island Household Manager and providing a family with the additional support they are in need of! "I’m a fun, caring, and loving person. I’m loyal, punctual, and dedicated to caring for children. I come from a large family and simply love working with children. If I was asked to describe in one sentence the reason I have chosen to be in the childcare profession over any other it would have to be because I can give more dedicated attention to the children I’m caring for. I have been serving in some form of childcare experience for over 10 years and can honestly say I enjoy what I do! I feel the children are our future. I believe with the right care and up bringing they can become great. Children need guidelines and someone they can rely on in all situations, that’s where I’d like to come in. They need to know they can achieve greatness in life and to never give up on a dream. My goal as a Nanny is to have fun with the children. I’d help them learn, grow and enjoy being a kid. I am willing to do housekeeping that includes cooking, light cleaning, and laundry. If I had to describe myself in five adjectives I would say that I am dedicated, dependable, giving, honest, and likable. Activities that I would like to incorporate in the daily plan for the family I care for would include arts and crafts and some creative writing. If asked to describe the perfect family seeking a Nanny like me I would hope they would be loving couple, a family that enjoys the arts including everything from music to movies and theater!" "Jamie is extremely responsible, punctual, and consistently dedicated any task she takes on. She recently graduated from Savannah College of Art and Design with Highest Honors, and it was no surprise to me to hear that she also won the Outstanding Achievement Award for her major. I suppose her innate sense of responsibility comes from being farm girl who knows how to take care of any situation! I've seen her at work in diverse academic and social situations; and whether it's caring for animals, engaging in activities with her nieces and nephews, or giving valuable advice to friends, Jamie is rock-solid and a person who puts others at ease. Jamie is highly skilled at connecting with children. Over the years, I've seen her flourish in situations where we have worked with kids. In high school, I still recall how well she facilitated the dance clinics for Elementary School students. While others may have felt uncomfortable in spite of the age gap, Jamie took a positive leadership approach and found herself surrounded by girls who wanted to be around her because she was such a great role model. I highly recommend her to any family." "I highly recommend Jamie as a nanny. Jamie was responsible, timely and has excellent communication skills. She is a great leader who will follow through with tasks given to her. She is hardworking, patient, understanding and honest. She is always positive and cheerful. Jamie is great with children of all age groups. She is a great role model for all ages. 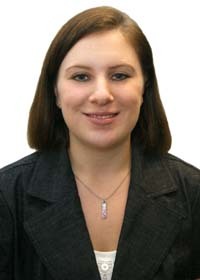 Jamie is a great person to work with, and I would highly recommend her for a Staten Island Household Manager position." "I have known Jamie since she was nine years old and is highly qualified for this position. Jamie was raised on a farm for most of her life. She is extremely family oriented. She has had lots of experience taking care of children and she is superb at it. Jamie has a passion and a knack for children and would be a tremendous asset to your team in addition to the family who she is placed with. I believe she will succeed in this field tremendously. I recommend her without reservation." "It is with great pleasure that I recommend Jamie! I have known her for three years. Jamie has always displayed a high degree of integrity, responsibility and ambition. She is definitely a leader rather than a follower and is very, very genuine. In addition to her warm personality, she is a team player and always uses good judgment in any given situation. She would be an asset to any family as a Staten Island Household Manager, and I am happy to give her my wholehearted endorsement!"